Dutch Passion Blueberry is the original, a famously classy and enjoyable cannabis combined with fruity flavours and blue colourations in the leaves and buds. The genetics are 80% Indica/20% Sativa and date back to the 1970?s. Repeat growers of Blueberry often like to germinate a number of seeds to find a special mother plant, she is easy to take cuttings from and you will never get tired of top quality Blueberry bud. 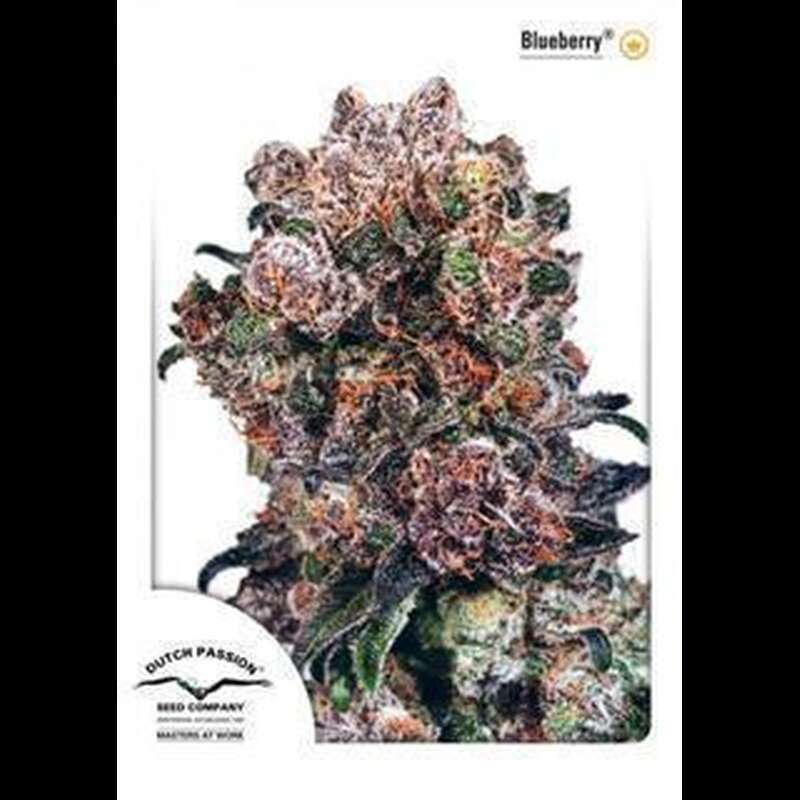 Although she yields well under ideal conditions she is grown primarily by those growers looking for that special, relaxing and refined Blueberry high. She may not be the easiest variety for the newer grower, and can be a fussy feeder, but she will repay the experienced grower with harvests of perhaps one of the best cannabis varieties available. Still a coffeeshop favourite decades after she was introduced.